If you work in the construction industry, you are probably already gearing up for construction season. Part of your preparations should be making a checklist of what job site signage you will need for your construction jobs. Fortunately, The Sign Center has you covered with all the construction signs North Jersey contractors need. Anyone who works on a job site can benefit from construction signs. If you have a full fleet of a vehicle or just one work truck for your contractor business, you can use vehicle lettering to advertise your enterprise. Or, if you are a contractor who manages the construction zones, there are a broad range of safety or wayfinding signs you must have for each job. With signs showcasing an architectural rendering of the finished building, you can communicate your vision for the project while branding and marketing your company name. Essentially, you can’t afford to let the warm weather construction season start without having the appropriate markers. Post and Panel Signs – This is where the artistic renderings of the finished construction job are highlighted. Post and panel signs work great for advertising an attractive condominium community, shopping center, public access building, or other facilities to potential tenants. Safety Signs – You will need to post OSHA-required and ADA-complaint signs in the hazardous areas you have identified on your site. You should also post the location of first aid kits, emergency eyewash stations, and hard hat areas. Parking and Traffic Markers – Thinking beyond the fenced-off construction zone is part of the job of the construction site manager. General contractors must be able to take care of any traffic issues when heavy equipment, architects, contractors, and laborers all simultaneously show up at the site. The right traffic signs can help facilitate this. By marking designated spots, you can free up parking spaces for workers. Plus, you can identify where an authorized vehicle can enter or exit with access point signage. Wayfinding Signage – Once a project is nearing completion, sales and leasing agents may set up an office to attract renters. Leasing agents will show off model storefronts or condos to try to sell or lease similar units within the building. In this case, prospective tenants must be able to find the agent’s office. Also, there must be a clearly identified route to the office that is free of potential hazards from the ongoing construction. The appropriate directional or wayfinding signage can do this. Vehicle Graphics – One of the simplest and most effective ways for you to advertise your company using work trucks is with contractor vehicle graphics. North Jersey construction businesses can build brand recognition by highlighting their name and logo on their fleet of work vehicles. As you prepare for the spring and summer construction boom, we will happily meet with you to discuss your construction marker alternatives. 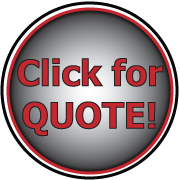 For a free consultation and quote, contact The Sign Center today.